Maybe you get seasick in swimming pools. Maybe you get claustrophobia if there is no escape route from a boat. A second alternative available in some areas is old-fashioned luxury rail travel. I’m not talking about AmTrak with its erratic schedules and limited meal service. 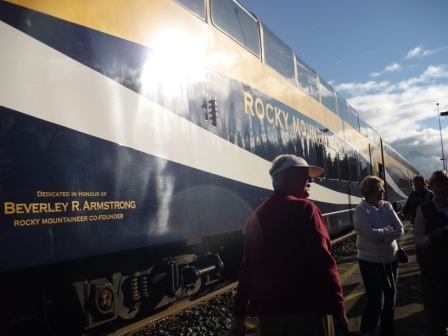 There are excellent tours by rail if you search diligently – and are willing to pay. 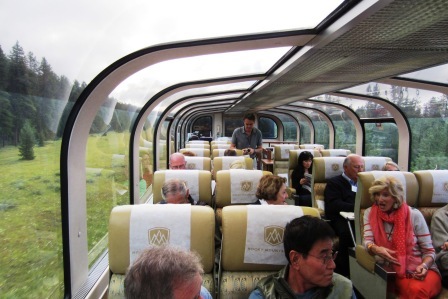 For example, Canada’s Rocky Mountaineer luxury train starts in either Jasper or Banff and winds its way through the Canadian rockies past glaciers,, wildlife, and snowcapped peaks. You can choose to travel with three different levels of luxe– a car with picture windows with a box lunch brought to your seat, a dome car with hot breakfast and lunch served at your seat, or a dome car with an open bar and a dining service below offering a choice of excellent gourmet meals with white tablecloths, crystal glassware, and attentive service. The train travels only in daylight so as not to miss a scenic moment, and you disembark in the evening to stay in 4-5 star historic hotels along the route. Other luxury train travel opportunities are available in the UK, Europe, Southeast Asia, South America, and Africa. 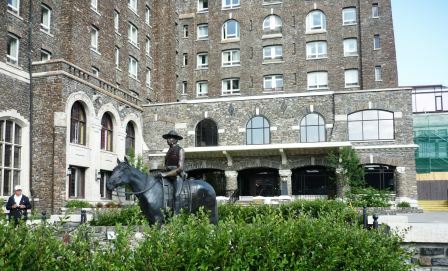 Use of the premium service requires that you must be able to negotiate the narrow spiral staircase between the sightseeing and dining levels of the rail car. There is a wider variety of destinations available by bus than by boat or train. A top-end bus tour company will put its travelers into the same hotels as the luxury train might offer, and has more flexibility in offering excursions to restaurants and other attractions outside the hotel. Bus travel, no matter how well sprung the bus and how insulated the engine, is more tiring than cruise or train travel, with more on-and-offs for trick knees and hips to endure. Compared to cruise or train travel, there is more “dead time” on the bus between destinations, and less ability to move about. If you get carsick trying to read on a bus, you have few entertainment alternatives, no matter how many sing-alongs and Draw-the-Moose competitions your tour guide instigates. And if sing-alongs and Draw-the-Moose competitions are not your thing – so much the worse! Like train travel, bus travel is likely to involve multiple overnight locations. If you don’t want to pack and repack every day, check itineraries for tours that have a central hub for overnights with tours branching out to different destinations each day.